With extreme sports becoming more, and more popular, especially in exotic destinations like Thailand, Bali, and other places in Southeast Asia. What better way to preserve your thrilling memories of soaring through the skies, or diving in depths of the oceans, and seas below? Your answer is the YI 4K Professional Camera! 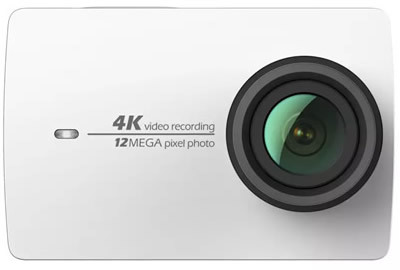 The YI 4K Camera offers you the sharp definition of 4K/30 Frames, which is four times that of a 1080p. This allows the user to capture high definition pictures with ease. Other features include a 2.2 inch high sensitivity touch screen, scratch resistant gorilla glass, 160 degree viewing angle, 330PPI high pixel density, 16:9 golden ratio screen, and a custom designed high capacity lithium battery. With the display, and WIFI turned off, you can shoot 120 minutes of 4K/30 frames of video, allowing you to enjoy shooting your most extreme adventures. The Camera also is waterproof up to 40 meters allowing you to capture all your underwater shots. For all the thrill seekers, that love to share their most daring adventures you can broadcast your incredible moments on the live platform. You can live broadcast to Facebook, and other social media platforms. 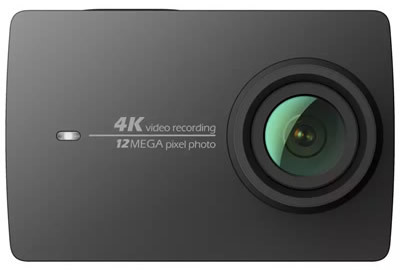 In Addition, this sports camera offers 9 shooting modes allowing you to shoot a professional grade video, giving your viewers a unique perspective of what it was like to do an extreme sport.